Are you ready for good food, great company, and an even better cause? Join Nevada Humane Society this Thursday, May 25, at Café at Adele’s to raise money and awareness for homeless pets! 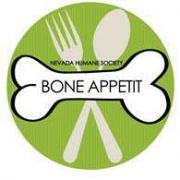 It’s part of Nevada Humane Society’s Bone Appetit program, featuring local restaurants giving back to charity. “Bone Appetit is a win for everyone, bringing growth to the restaurants, financially supporting homeless pets, and of course, allowing families and couples to enjoy a good night out!” said Kimberly Wade, Communications Director for Nevada Humane Society. Meet at the back of Centennial Park, across from the baseball fields on Heritage Way. We will walk the upper trail. Closed-toed shoes and water are required. Bring a friend and/or friendly dogs. Hats, sunscreen and walking sticks recommended. Muscle Powered Easy Hike program are hikes of between 2 to 4 miles in length,often with some elevation gain (no more than 500') and can be on a paved path, smooth wide trail, or single track. The hikes will usually be of approximately 1 1/2 duration. Repeats every day until Thu May 25 2017 . Repeats every week until Thu Jan 04 2018 . The Rotary Club of Carson City Sunset meets every Thursday at 6PM at Tito's Mexican Restaurant. Stop on by and see what Rotary is doing in Carson City. Be a part of something bigger. Our motto is "Service Above Self", but we like to have fun while doing it. The public is invited to the regular monthly meeting of the Carson City Republican Party which will be held at Silver State Charter High School, 788 Fairview Dr Carson City, NV. The doors are open at 6:30PM for a social half hour then the meeting begins at 7:00PM. We will be having the Executive Director of the Nevada Republican Party as our guest speaker and he will be covering a wide range of political topics including what we will be doing in the upcoming year and plans for the 2018 midterm elections. A to Zen Open Mic Night! Repeats every week every Friday until Fri Jan 05 2018 . 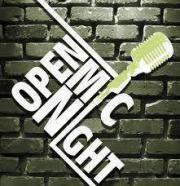 A to Zen Open Mic Night at 1803 N. Carson St.
Join us every Friday for Carson City's longest running open Mic! All talent levels and all ages are welcome. We start around 7:00 p.m. until ? See ya' there! Repeats every week until Fri Jun 23 2017 . Partnership Carson City is hosting a Diabetes Self-Management Class developed by Stanford University. 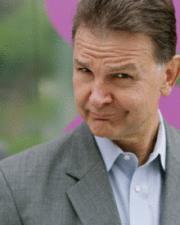 Class meets for two and a half hours on Fridays, for six weeks. The first class is on May 19 and meets from 9:45 to 12:30 pm at St. Paul’s Lutheran Church, 1201 N. Saliman Rd., Carson City. The class covers monitoring blood sugar; coping with anger, fear and frustration; communication with health care professionals, family, and friends; use of medications; relaxation techniques; healthy eating; physical activity and more.